The Iota chapter Iota Chapter of Phi Beta Kappa and the University of Rochester Chemistry Department welcomed PBK visiting scholar Victor S. Batista, Professor of Chemistry at Yale University and Senior Editor of Journal of Physical Chemistry (JPC) to the U of R.
As part of his visit, Prof. Batista gave a public talk entitled: “Converting Water into Fuel: Natural and Artificial Photosynthesis”, on Thursday, Nov. 30, 2017. The room was packed, with 160 people coming from across the University and the Rochester community. Prof. Batista also spoke to Prof. Krugh’s General Chemistry course about the role that machine learning via computational neural networks can revolutionize scientific research in many disciplines and to Prof. Rothberg’s Quantum Mechanics course about a new generation of research combining classical and quantum dynamics simulations. The two-day visit inspired undergraduate researchers and spurred new ideas among faculty and graduate students. 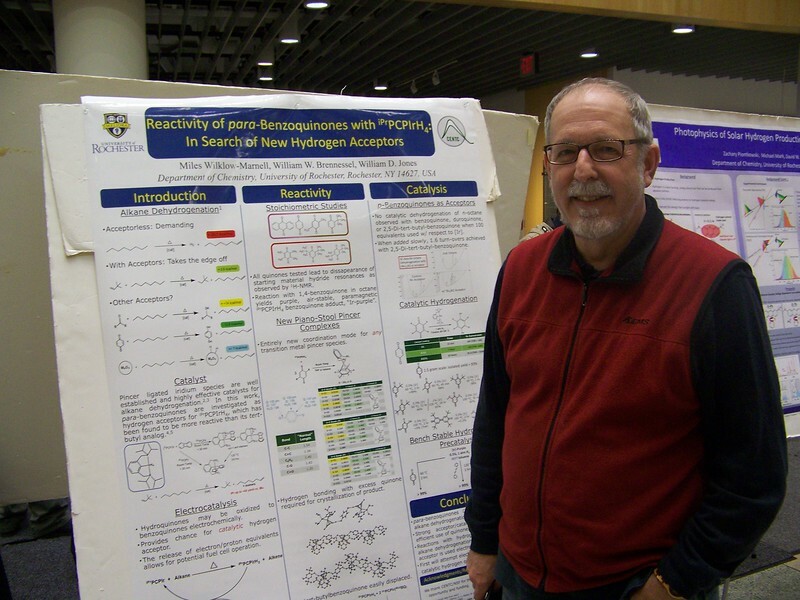 We’d like to thank everyone that came out to hear Prof. Batista’s seminars, presented posters about their own research and met with him to discuss science. Additional thanks go out to the local organizing committee who pulled together the event: David McCamant, Ignacio Franco, Pengfei Huo, Deborah Contestable, Barbara Snaith.